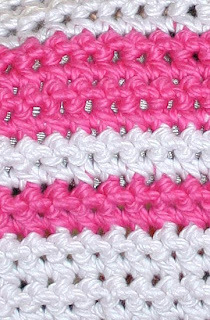 The stitch was different from any I'd used before. It made a neat texture. Hope Addy and her mommy like it! 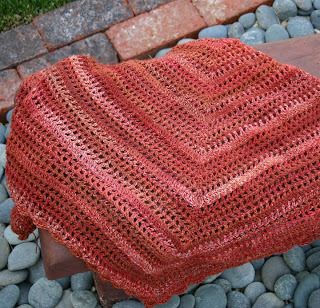 This is another Sock Yarn Shawl, also based on an LB pattern. 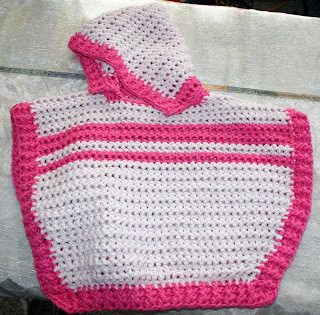 The pattern calls for doubled strands of crochet cotton; I substituted Trekking sock yarn. I love the colors and how the fiber changes from solid to variegated, light to dark. 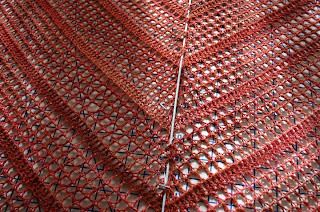 I blocked it last night and it's ready to wear today- if it wasn't so dang hot. This is the sample for the class I'm planning to teach in September or October. 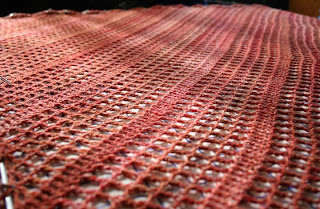 It uses only double crochet and chain stitches, with increases thrown in to keep it interesting. It's easy enough for beginners but more advanced stitchers should like it too. 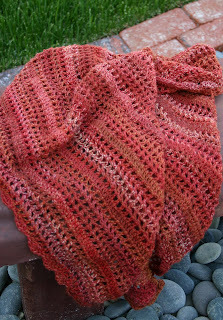 I get lots of compliments on my first shawl, so I'm hoping this will be a popular class.